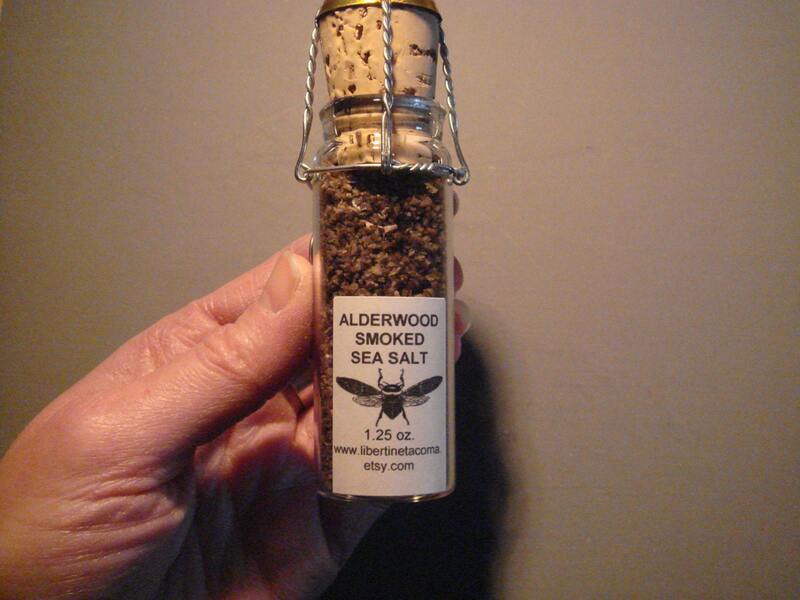 Alderwood Smoked Salt is a new breed of natural smoked salt. This Pacific sea salt is slow smoked over real Alderwood, giving it an authentic, clean smoke flavor. 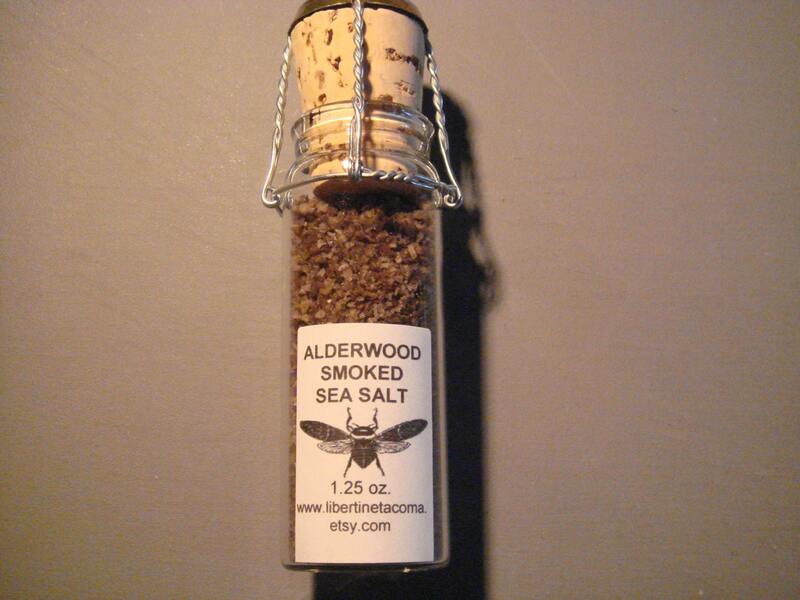 This Alderwood smoked sea salt is a 100% natural way to add authentic smoked flavor with no strange aftertaste. No liquid smoke, artificial flavors or coloring are added. Alder Wood Smoked Sea Salt combines traditional Alder Wood flavor with sea salt to create a most unique and beautiful spice to use in any of your favorite recipes, both on and off the BBQ. It is packaged in an apothecary style glass vial in the photo. It measures 1.25 ounces or 2 tablespoons. The vial is 1 inch in diameter and 3.75 inches high. It had a flat bottom and easily stands up on a counter top or in a spice cabinet or rack. I hope you will enjoy these or give them as a great gift! I also include "Ideal Uses" cards for each seasoning. I will add a custom message to the label for any special occasion. These make amazing wedding or party favors!